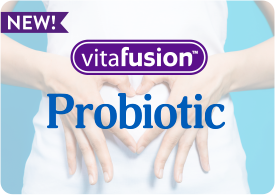 With 4 g of fiber and 500 mg of Calcium in every serving, vitafusion™ Fiber + Calcium provides digestive support and an excellent source of Calcium. 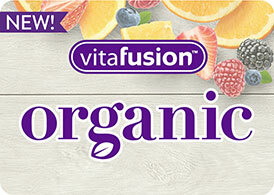 * vitafusion™ Fiber + Calcium can be taken with vitafusion™ PreNatal for added nutritional support while pregnant. Made with natural flavors, they're a great tasting alternative to large, hard-to-swallow pills. Natural orange and pomegranate flavors.